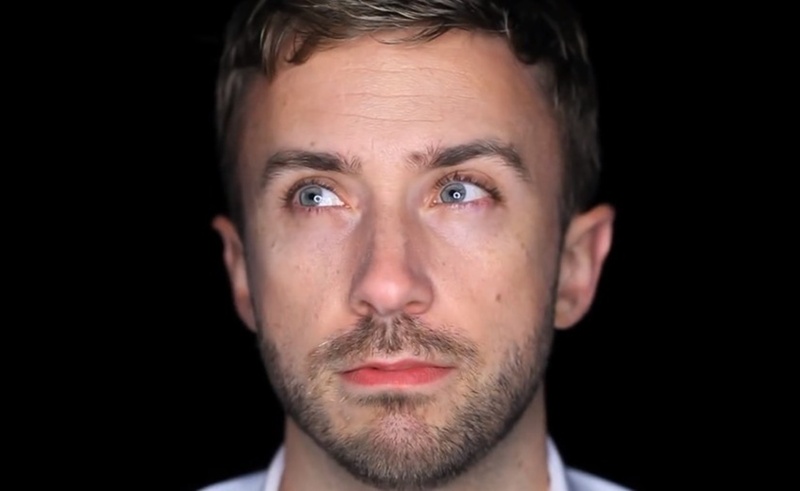 For four years, Peter Hollens has amazed his fans with versatile cover versions of pop hits, folk songs, and pop culture anthems. Thanks to his impressive vocal range, Hollens acts as a one-man a cappella band. His split-screen style allows him to create videos that both engage his viewers and show off his chops. Hollens’ undeniable talent is starting to pay off in meaningful ways. Last year, he scored a record deal with Sony Masterworks, through which he released a self-titled album in October. Now, he has more than one million subscribers, and he celebrated the occasion by providing us with an enthusiastic interview. Peter Hollens: I honestly can’t believe it. In 2011 when I began on YouTube it seemed so unlikely that I could ever aspire to reaching that many people who would enjoy my work. I could not even imagine joining the ranks of the artists who had a million subscribers. I’m so amazed that so many people would be interested in hearing my music. I am thankful for the incredible support of my Hollens family, and all those who watch and share my work. I hope I can continue making music for them for years to come! TF: Which is more demanding: Arranging and performing your songs, or editing and posting them? PH: The most demanding part of my workflow is recording each and every part in the studio. I usually lose my voice, and occasionally my sanity. I am a perfectionist and it is sometimes grueling to get through a song and be utterly satisfied with it. It’s also the most rewarding, because I am able to sing for a living! TF: What factors inform your song choices for your channel? PH: I have recently been taking 100% of my song choices from comments on my social media sites and Patreon. In the end I’m trying to make music that people love, and it makes it much easier to know when a song is requested over 500 times that there is demand for a tune! TF: Who is a musician on YouTube with whom you would like to collaborate but have not yet had the chance? PH: That’s a hard one. I would love to work with Pentatonix one day, as well as many others, including ScottBradleeLovesYa, Kurt Hugo Schneider, and Max Schneider. I would work with any of my peers I’ve worked with in the past. My most enjoyable projects have been the ones I’ve done with other artists! TF: You’ve been in the a cappella game for a long time. How does it make you feel to see the genre gaining so much momentum in the mainstream? PH: It makes me so happy! I’m so encouraged to see people starting to sing in a cappella groups at such an early age. I know this genre will only help more kids enjoy music and start singing. The human voice is the most powerful instrument in the world. It means the world to me to raise awareness for a genre and help inspire others to join the ranks of a cappella. TF: What sort of response have you seen to the original songs you’ve shared on your channel? Going forward, how do you plan to balance original songs with covers? PH: I love doing original songs and covers, I just enjoy covering the songs people ask for the most….If they start asking for more originals I’ll do it for sure. I’ve only done a few originals so far, but I’ve done a lot of public domain folk songs and I’d consider those original in a lot of ways. TF: You’ve also advised companies like Patreon and Tubular. What do you think is the most important thing that startups looking to break into the YouTube space should keep in mind? PH: The companies that are trying to actually create significant value for creators, through honesty and transparency, will succeed. Many broken models still exist in the digital world left over from decades of old rules. Those that bring true value to the community and ecosystem will thrive. There are many things that still need to be streamlined…everything from licensing, to distribution, to monetization, to engaging with audiences still can be improved. These companies need to stay as lean and small as possible so they can still pivot with the ever-changing digital landscape. I think a lot of education still needs to happen, but we are all learning and innovating together. Anyone who tells you they fully understand the landscape is deluding themselves. 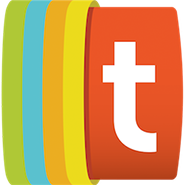 TF: As a Patreon user yourself, how do you see crowdfunding reshaping the online video industry in the coming years? PH: Never in the near history of art have we had the ability to have a consistent salary doing what we love. I will be creating this content no matter what. But opportunity to invite my audience to facilitate that process has been so powerful in the making of my music. I think Hank Green summed it up best in his article. It’s vital for you to allow your audience to take part in the journey with you. Not only for obvious financial reasons, but for the ability to connect with my 1300 patrons and get feedback on audio mixes, video drafts and song choices. I personally can’t say enough great things about having direct fan involvement. I love being extremely hands on with my audience, and I’ve learned so much from them. PH: I’m currently loving having my audience pick the songs I choose and will continue to look to do collaborations with as many of my peers as I can find! Hopefully I can start ticking off some of the wish list I spoke about above. I’m so honored to be able to create music for everyone, and I can’t thank my community of fans enough for their love and support.